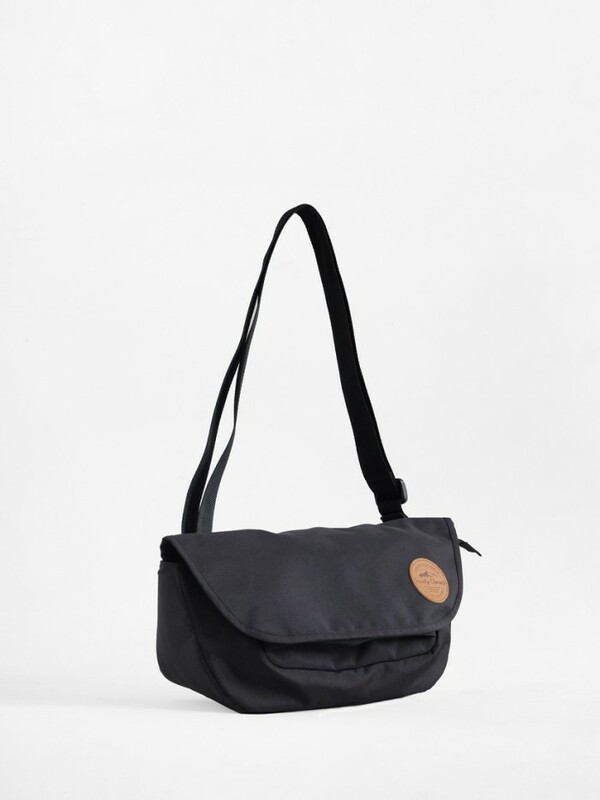 "Prau" Sling Bag represents a small-to-medium size outdoor bags to accommodate and serve urban people. The bag featured with slightly padded main storage and various organizer pockets that provide you a firm place to store your belongings. Fabrics: Coated polyester filament fiber padded wiith 10 mm polyfoam, waterproof inner lining, YKK Zipper. Features: Flap closure with velcro. 1 small front pocket with zipper closure. 1 Main compartment with zipper closure, feature with 1 mesh pocket, 2 slots card size pocket, and 1 pocket with zipper closure. 1 rear pocket with 2 mesh pocket inside.